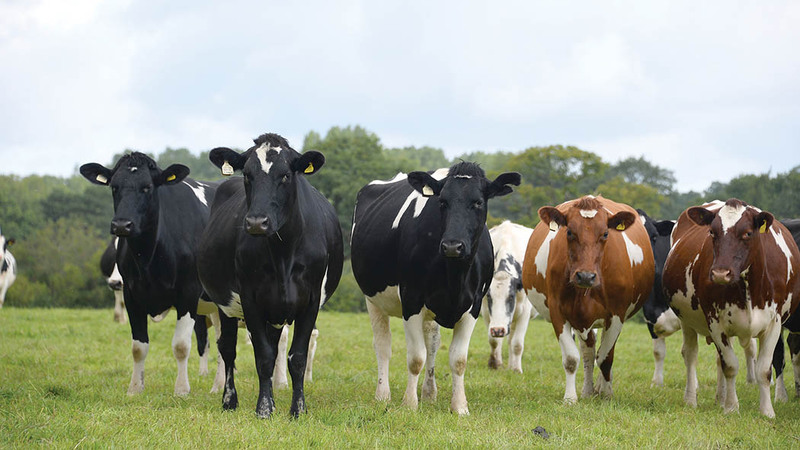 The UK-wide initiative kicked off in autumn 2015 with the aim of helping farmers to improve calf survival and increase the number of heifers making it into first lactation. Twelve dairy farms were enrolled in the project and acted as hosts for a series of farm meetings on best practice heifer management over the two years. Six farms were autumn block calving and enrolled in autumn 2015 and six had a stronger spring-calving bias and enrolled in spring 2016. The growth, health and nutrition of 10 heifers on each farm were also monitored every three months. It was this growth data which has highlighted the inconsistencies in growth rates within groups of heifers on individual farms and the fact many heifers fail to hit the target growth rates needed to calve in at the most economical age of 24 months. On some farms, 12 to 15-month-old heifers were also only achieving 0.1kg/day, well below the growth rate needed to hit the right weight to calve at 24 months. On average, heifers will need to hit 0.8kg a day to be on track. However this will vary according to adult cow size on individual farms. The need to continue to weigh animals at grass was also highlighted by the fact the biggest variability in growth rate was seen at the end of the summer across all heifers. This correlated with declining grass quality and insufficient supplementation. However, declining growth rate is not an inevitability of grazing, with some farms achieving good consistency in growth rates while at grass. Mr Dodd believes more work needs to be done to look at the effect of heifer genetics, however he advises closely monitoring weights at grass.